Founded in 1915, Thompson Cigar is the oldest mail order cigar company in the United States. The company is currently headquartered in Tampa, Florida and ships its products throughout the continental United States. Improved Productivity – reduced length of tasks from weeks to minutes. Paperless – saved paper and eliminated space wasting storage and filing systems. Employees in Thompson Cigar’s Accounts Payable Department are required to regularly respond to random spot checks and audits from various federal regulators. Thompson must also respond to auditors on a regular basis, which requires the compilation of hundreds of documents. Wanting to eliminate an endless paper trail, improve employee efficiency, and to deploy a document management application that would seamlessly integrate with their existing Accounting application, Thompson Cigar looked to FileNexus® Document Management as a solution. Prior to deploying FileNexus® in 2005, Thompson Cigar’s Accounts Payable Department would spend weeks locating audit documents. 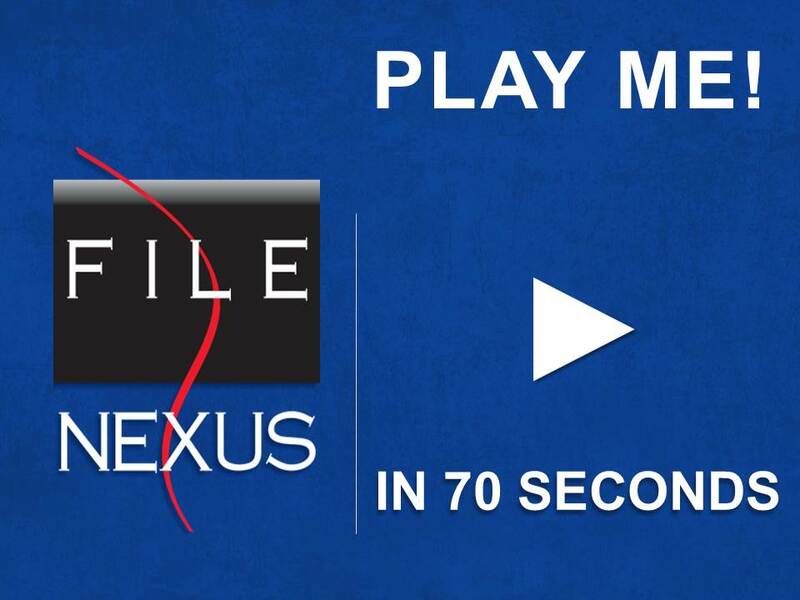 Since installing FileNexus®, the time it takes to retrieve audit documents has been reduced to mere seconds. What’s more, the AP Department now has the ability to send and compile documents on a mass scale with the simple click of a button. Day-to-day inquiries from vendors can also be quickly addressed, gaining further staff efficiency. –Darren Hurd, Director of Finance and Accounting, Thompson Cigar. Keeping documents secure was also a key priority for Thompson. FileNexus® employs advanced data encryption, so all files in the AP department are kept confidential, and protected. Providing full system auditability, FileNexus® tracks the activities of all users and helps the company meet privacy, audit and other regulatory compliance requirements. The FileNexus® Enterprise Document Management System gives organizations, both large and small, the ability to capture virtually any type of document from any source (i.e., paper records such as maps, drawings, manuals; electronic files such as host generated reports, client statement streams, IVR recordings, emails etc. ), index and compress them for secure archival and future recall—providing a single cohesive repository for all document management, workflow, archival and business continuity needs. This entry was posted in Client Profile, Uncategorized and tagged accounts payable, audits, data encryption, document management, regulatory requirements, thompson cigar by admin. Bookmark the permalink.